Another great bit of DPRK reporting by Anna Fifield. 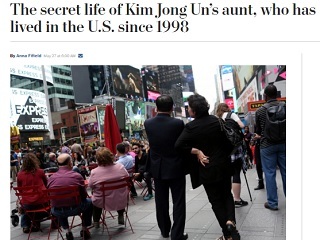 Under the headline “The Secret Life of Kim Jong Un’s Aunt, Who Has Lived in the U.S. Since 1998,” Washington Post Tokyo bureau chief Anna Fifield has this morning shared a truly remarkable exclusive.